If you will ask any passionate blogger about his/her blogging software, chances are bright that he/she will come up with a reply “WordPress”, and even if you change your question from blogging to website development, still there are bright chances that the answer will remain the same. Thus, WordPress is considered to be an excellent and one of the most suitable platforms for creating websites. It is one of the fastest and simplest tools to create an operational website. Today, most of the businesses and developers are looking forward for WordPress web development, after realizing the benefits of WordPress. There are a lot if benefits of WordPress. Before discussing those benefits, let us first understand what actually WordPress is. Basically, WordPress is an online, open source content management system (CMS) based on PHP. In order to function, it has to be installed on a web server. It has become one of the most trusted CMS around the world. When it comes to building and managing a website, WordPress is a platform that has gained immense popularity, and has become one of the best and most used software solutions. It is not only popular, but also a powerful CMS in existence today. 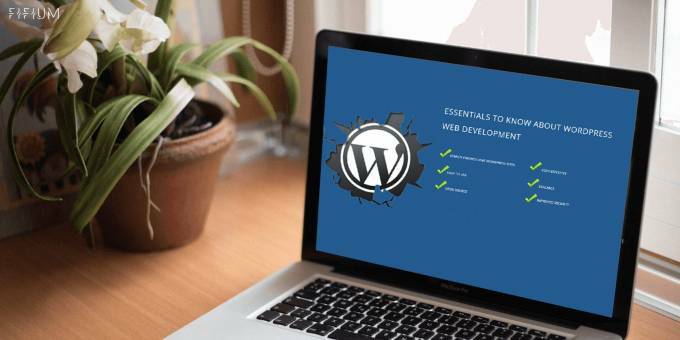 WordPress is known for its simplicity and user-friendliness, and opted by developers widely; it has an amazing number of plugins, which allow the extension of its functionality in the best possible ways. Being open source, it permits the developers to use the code, and extend and modify it, in whichever way they want to. WordPress is an ideal platform for building highly interactive, responsive and functional business websites. WordPress has evolved from a platform used for blogging to a CMS platform. It offers a lot of benefits to the businesses. If you are thinking to build a new site, then have a look at some of the most compelling benefits of using WordPress. The most important benefit that comes along with WordPress web development is that, the search engines love the WordPress sites. Google loves WordPress as it takes care of a maximum of the search engine optimization (SEO) mechanics to ensure that the website gets crawled, which gives businesses a head start, when it comes to ranking above their competitors. Basically, the code behind the search engine is very clean and simple, which makes it easier for the search engines to read and index a website’s content. WordPress websites are search engine friendly, and search engine friendliness of a site is important for its success. Not only it is SEO friendly, but also it is easy to use. WordPress allows a complete control over the website, which means that when the website is built and handed over to the business for use, it allows them to edit any component of the website, with an ease. WordPress allows any change to be made easily, without the need to consult a web developer, each time. It is very easy to use, and also it has an intuitive interface. Adding new pages, images, posts, etc. on a regular basis, can be done very easily with WordPress, as it is so simple, and even the time spent on formatting is greatly reduced. Another benefit of using WordPress is that it is open source, allowing anyone to view its source code. This is one of the most attractive features of WordPress, as it remains freely available to be installed and accessed, with numerous free themes and plug-ins in an easy downloadable form. Being open source actually means that, it is maintained by a group of volunteers from around the world, constantly making it better. For businesses, the cost of creating an online footprint is an important consideration, and all credit goes to WordPress that creating a website costs less now. WordPress designing and development is extremely cost-effective. Not only the cost of developing and designing, but also the maintenance expenses are relatively cheap, as there is no need to hire a designer each time to update the content, rather businesses can do this on their own. It allows them to make edits, and save money that they would have paid to the designers. One of the most compelling benefits of WordPress is that, it is highly scalable. It can grow alongside the business, from a startup to a large network of business. As WordPress is highly scalable, more and more businesses are getting inclined towards it, making it more popular. Depending on your requirement, you can add as many numbers of pages as you want. WordPress offers a large number of themes, making it possible for you to achieve the kind of website you are looking for, in a cost-efective way. The themes offered by WordPress, can be easily customized in terms of structure, color scheme, etc. as per the business requirements. Thus, the scalability of WordPress adds to its power and popularity. Not even a single business owner would like to expose his/her business to the hackers, giving them access to the resources for their purposes. Keeping this in mind, WordPress has some of the advanced security features making your website hacking-proof. You can safeguard your WordPress website very easily against some of the common attacks. As you can see, there are many benefits offered by WordPress. Not only the above-mentioned one, but there are a lot more benefits of using WordPress. It is a great tool for businesses, to succeed in the online world. With all these benefits, WordPress has become the first choice for many businesses. So, what are you waiting for, start with your WordPress web development today.